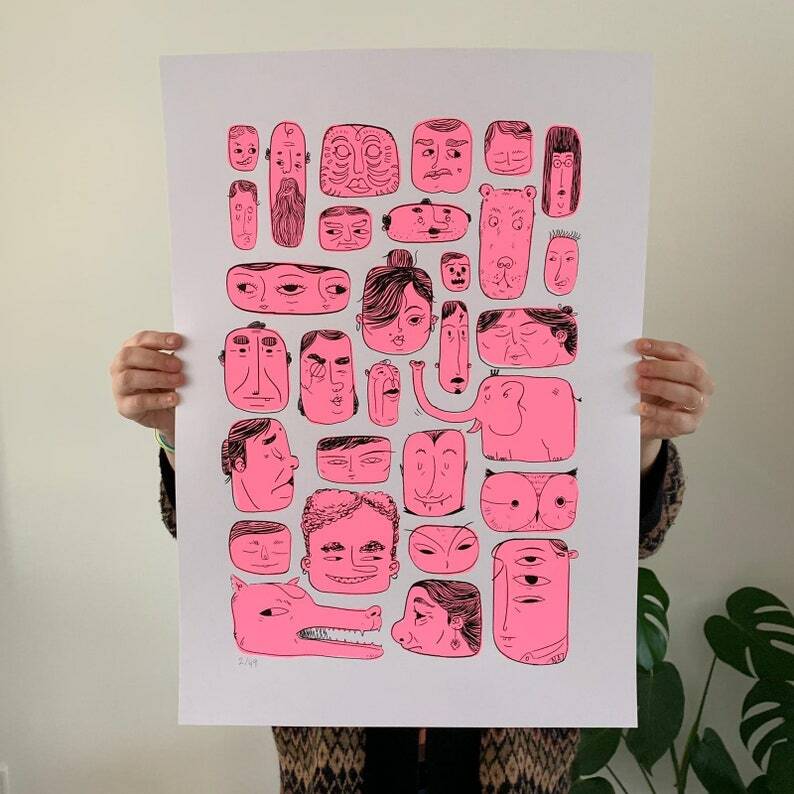 2 layer screen printed on 250g acid-free white paper (42x59,4cm - A2) with water-based bubblegum/fluorescent pink and black ink. Edition of 49, numbered and signed. You can send a mail to ncostante[at]gmail.com for ordering 💌 or directly buy it via Etsy. Please be aware each piece is unique. Because of the printing technique, slight variations may occur. Rates for regular mail service with track & trace number, up to 2 Kg, in Euro. Belgium, Denmark (excluding Faroe Islands and Greenland), Germany, France, (including Corsica and Monaco), Italy (excluding San Marino and Vatican City), Luxembourg, Austria, Spain (including Balearic Islands, excluding Canary Islands), United Kingdom (excluding Gibraltar and the Channel Islands), Sweden. All other countries (including Russia). For international orders, import duties, taxes, and customs clearance fees are not included in the item price or shipping cost. These charges are the buyer's responsibility. I do accept returns but please contact me within 14 days of delivery and upon agreement send back the item within 30 days of delivery. Buyers are responsible for return shipping costs. If the item is not returned in its original condition, the buyer is responsible for any loss in value.